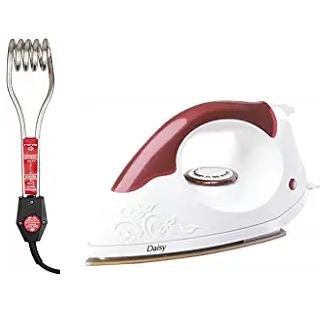 Amazon Home Appliances Sale - Get Upto 60% off on best Selling home appliances like Heater, Iron starting at Rs.349. Shop Room heaters, Geysers, Fans, Induction Cooktop, Irons, Volatge Stabilizer, Garment steamer, and more. Choose from brands such as Morphy Richards, Orpat, Orient Electric, Philips, Bajaj, Solimo, Usha and more. No coupon code needed. Shop Now!